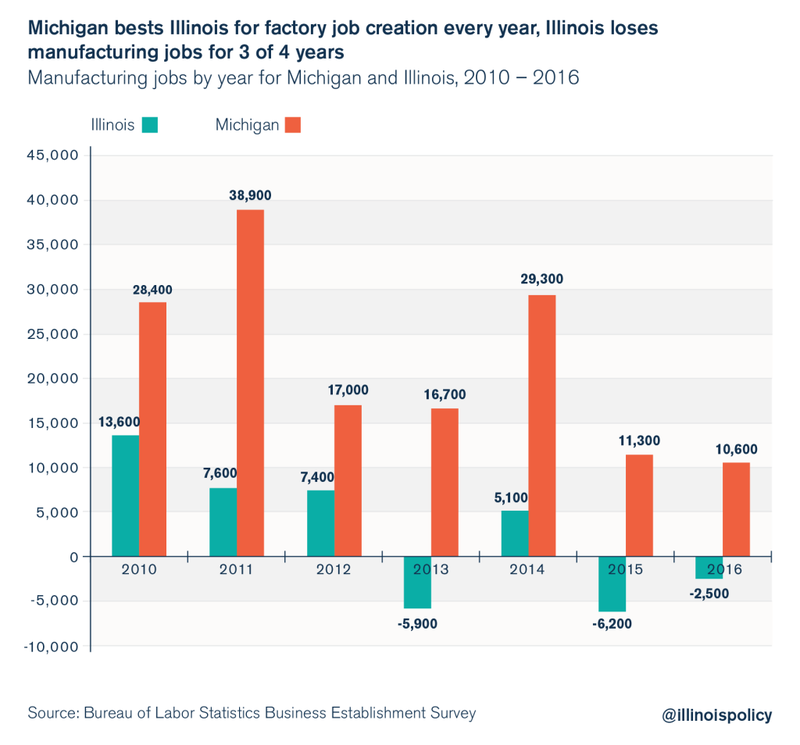 Illinois manufacturing communities continue to suffer under both difficult global conditions and state government’s anti-growth policies. On top of weak global demand for products such as Caterpillar machinery, Illinois’ burdensome taxes and regulations make the state unattractive for new investments that would create more manufacturing jobs. In contrast, industrial communities in other Rust Belt states are experiencing a revival. Michigan, in particular, is making a manufacturing comeback, aided by increased demand for automobiles and pro-growth state policies. 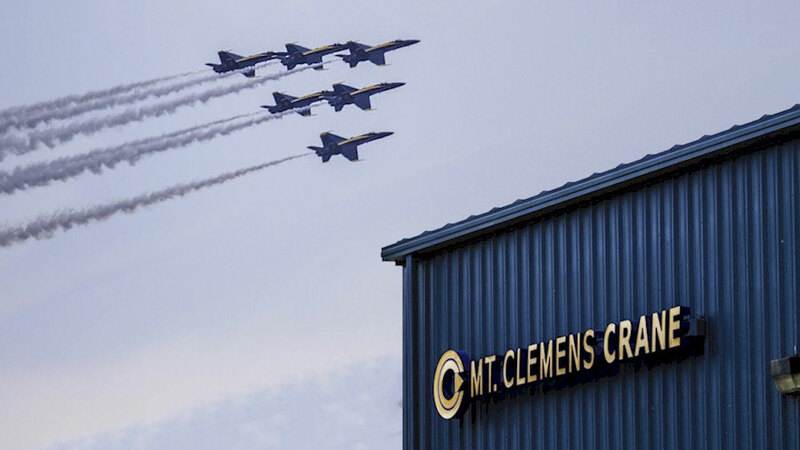 Michigan crossed another recent milestone, with the state surpassing 600,000 manufacturing jobs in July. According to IllinoisPolicy.Org, Michigan began recovering after hitting a Great Recession bottom in June 2009. Auto companies received short-term help from the federal government and made their cost structures more competitive. The state began to institute pro-growth policies such as Right to Work and cutting taxes. When global demand for automobiles revived, Michigan manufacturers were ready to meet it. Since its recession bottom, the state has added 170,000 manufacturing jobs out of a total of 560,000 private-sector jobs. 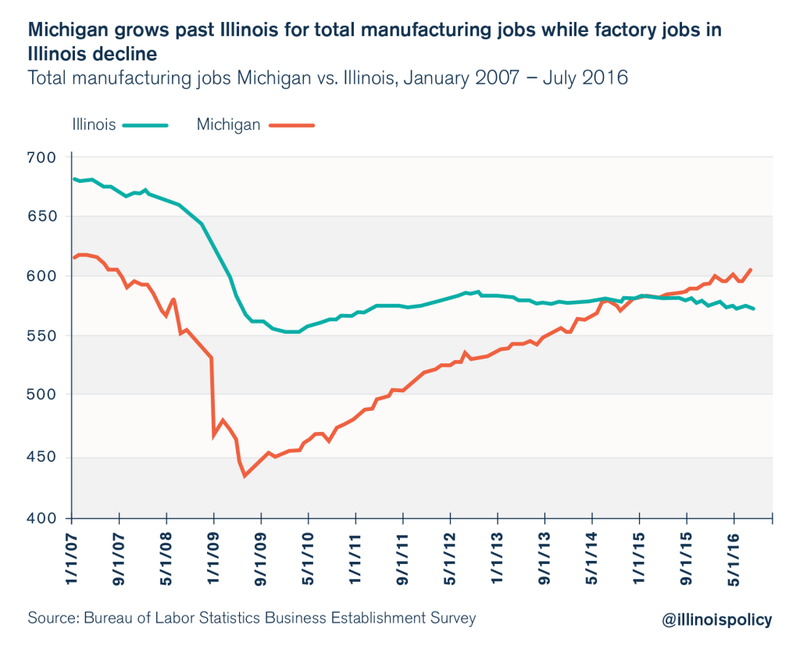 Michigan surpassed Illinois for total manufacturing jobs in April 2015, even though Illinois’ economy is much larger and Illinois typically had more factory jobs in the past. Since passing Illinois, Michigan has added another 21,300 manufacturing jobs, while Illinois has lost 8,000. Michigan’s bounce back from the recession was stronger than Illinois’, and the Wolverine State has sustained manufacturing jobs growth even as Illinois has slowed down. Illinois had a weak bounce back from the recession, and has lost manufacturing jobs in three of the last four years. Manufacturing companies in a variety of sectors have been relocating from Illinois to Indiana and other states, often expressly for policy reasons. Caterpillar CEO Doug Oberhelman is on record stating that even in good times, CAT doesn’t look to make new investment in Illinois due to state tax and regulatory issues. Illinois needs a better business environment for manufacturers. When market conditions improved for auto manufacturers, Michigan had its taxes and regulations in order to help capture tens of thousands of new manufacturing jobs. Illinois can’t say the same. Whether market conditions are strong or weak for Illinois manufacturers, the state policy environment is always uncompetitive. 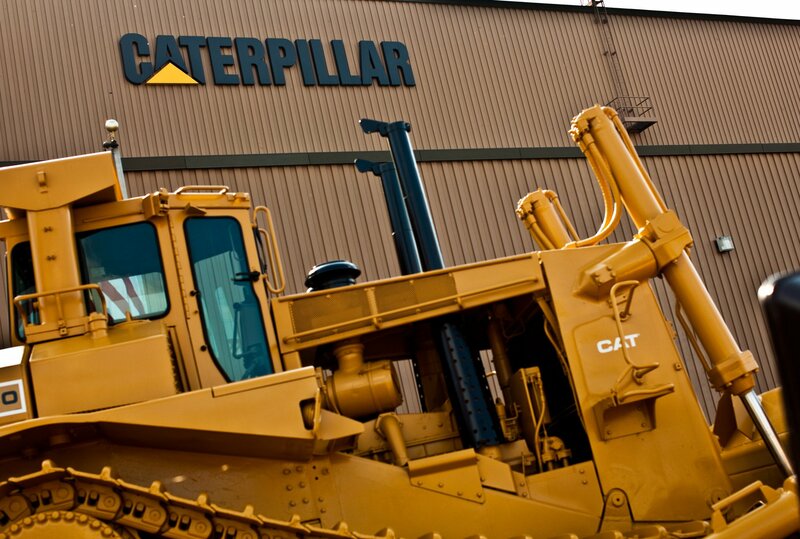 (CAT PLANT IN EAST PEORIA) Plants in all three of its manufacturing groups — construction, resource industries, and energy and transportation — are under threat. That includes eight manufacturing plants in Illinois: Aurora, Decatur, East Peoria, Joliet, LaGrange, Mossville, Mapleton and Pontiac. Labor reforms to guarantee worker choice through Right-to-Work laws, which attract new manufacturing investments. Illinois’ beleaguered manufacturing communities deserve better from their state government. Not only do state policies thwart private-sector jobs growth in cities like Peoria, Decatur and Rockford, it also makes it more difficult for these cities to deal with overwhelming pension debts. However, if state government fixes its tax and regulatory environment, these communities can thrive again.